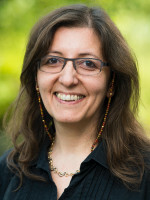 The research group is focused on analyzing cyber-physical systems, as concurrent and distributed systems where embedded computers and networks monitor and control the physical processes. Cyber-physical systems are integrations of computation, networking, and physical processes. Different novel analysis approaches and techniques are needed to guarantee dependability and efficiency of cyber-physical systems.